The Edmonton Oilers are in the market for a top-line scoring winger and appear to be willing to move significant assets in order to acquire one. It had been reported early Monday via Twitter by TSN Edmonton reporter Ryan Rishaug that the Oilers are “on a full court press to find help at forward” and have made their first-round draft pick and a young stud forward available. Later in the day, in a radio interview on TSN 1040 in Vancouver, Rishaug suggested Oilers right wing Jesse Puljujarvi could be up for grabs. The Oilers have also been shopping goaltender Cam Talbot for a good portion of the season, as TFP has reported multiple times, and moving his $4.17 million salary cap hit could help Edmonton add a significant piece to its forward corps. It’s unclear whom the Oilers are targeting, at this point, but Oilers GM Peter Chiarelli has been actively looking to bring in a forward to consistently play alongside captain Connor McDavid. 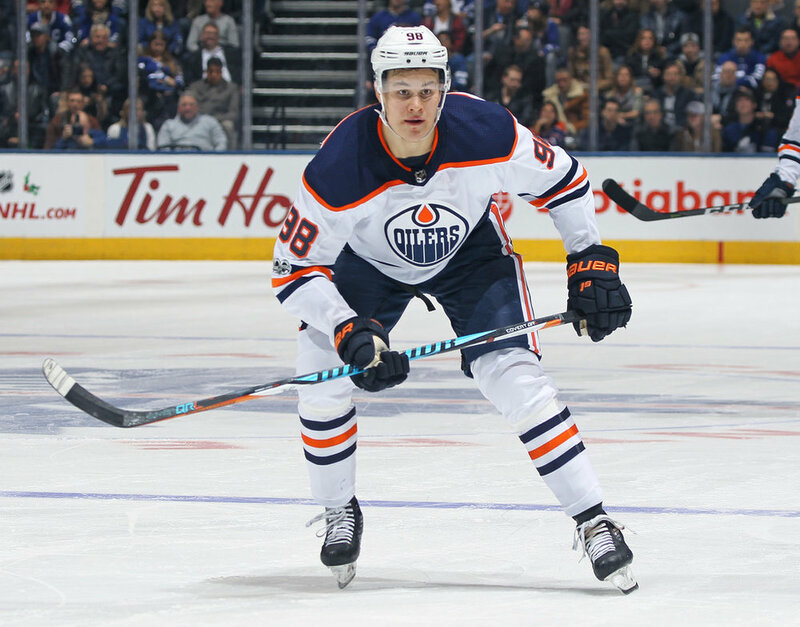 With the club dangling its first-round draft pick and a player like Puljujarvi, among other assets, it’s highly unlikely the team is looking to acquire a player on an expiring contract, but rather pursue a young but NHL-experienced forward with term left on his deal. Such players as Brayden Schenn and Vladimir Tarasenko of the St. Louis Blues, Chris Kreider of the New York Rangers, and Tyler Toffoli of the Los Angeles Kings have all been bandied about in the rumour mill this season and all but Tarasenko are currently on TFP’s Top 30 Trade Watch List. With limited salary cap space to play with, unless Chiarelli can find a home for Talbot or veteran winger Milan Lucic and his $6 million cap hit, the Oilers are likely to move a roster player to offset the salary of a player with a hefty cap number, should they acquire one. The Oilers may also be looking to part with the likes of Ryan Spooner ($3.1M cap hit) or Tobias Rieder ($2M cap hit).